Chart showing the indebtedness of the various schools in Shenandoah County including state literary bonds and private loans. 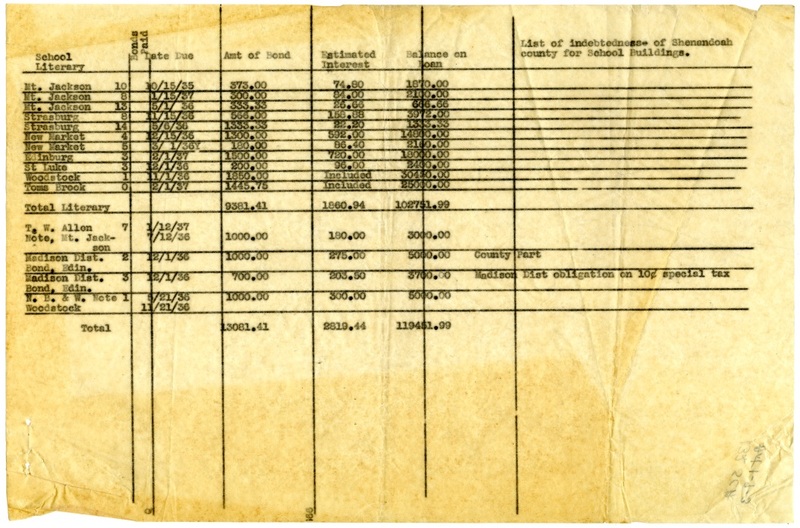 New Market School Documents, Truban Archives, Shenandoah County Library, Edinburg, Virginia. 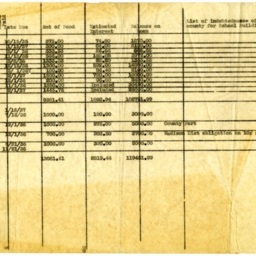 Shenandoah County Public Schools (Va), “School Indebtedness Chart,” Shenandoah County Library Archives, accessed April 22, 2019, http://archives.countylib.org/items/show/11744.